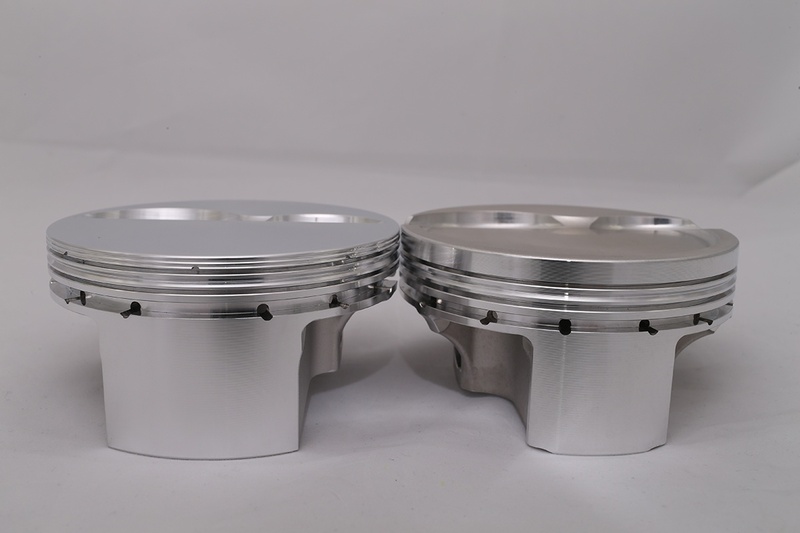 Did you know that many pistons have a specific orentation for either lefts, rights, tops or bottoms? We explain why and how to tell your engine's orientation. It’s no surprise that there is a massive amount of engineering that goes into engine components. Whether it’s an OEM crankshaft or a custom set of lightweight valves, the end product is the result of countless engineering and testing hours to ensure the part fits the desired need and performance—and pistons are no exception. Whether it’s a low horsepower hypereutectic piston or a custom slug to accommodate multiple valves at odd valve angles, the design is critical to the success of the part. Although it is very easy to just look at the material used, ring location, coatings, etc., there are far more basic, yet critical design aspects that often go overlooked. Even though the pistons may seem like a very simple component in the grand scheme of an engine, when you start to dissect what it does in relation to everything around it, they become much more complicated. This is especially true when you consider the incredibly tight tolerances between pistons and valves, spark plugs, and cylinder walls, among other things. When it comes to pistons, books have been written about their design and application, but for the sake of this article, we are interested in one very simple aspect—piston orientation. When pistons are designed, the face of the piston can be broken down into four areas—top, bottom, left, and right. While this may seem like an overly simple concept, overlooking something as basic as installing the pistons in the correct orientation can wreak havoc on an engine in the blink of an eye. Beyond the face of the piston, the correct orientation is also required for some piston skirt and wrist pin designs. When we talk about piston orientation, the basic concept is the pistons need to be installed in certain direction based on certain design criteria. Two 4-valve pistons with the left example being direct injected. The DI piston shows the forward facing directional arrow while the standard 4-valve piston shows which side should be positioned towards the exhaust valves. In any type of high-horsepower and/or high-RPM application, piston-to-valve clearance is critical. But valve reliefs are not a one-size-fits-all aspect of the piston. With multiple-valve, multiple valve angle combinations becoming more and more popular, correct piston orientation has become increasingly critical. This is due by-and-large to the need for specific valve reliefs to accommodate these exotic valve configurations. 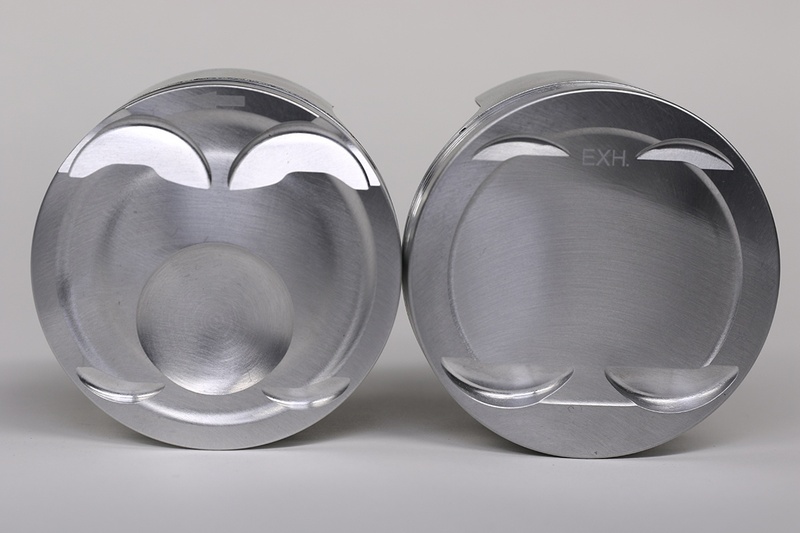 Pistons for these, and many basic performance applications are far from symmetrical, requiring a specific installation direction for a number of reasons. This importance of proper alignment for valve relief pockets and valves is especially true in regards to 3-, 4-, and 5-valve engines, where a large portion of the piston face may require valve reliefs. 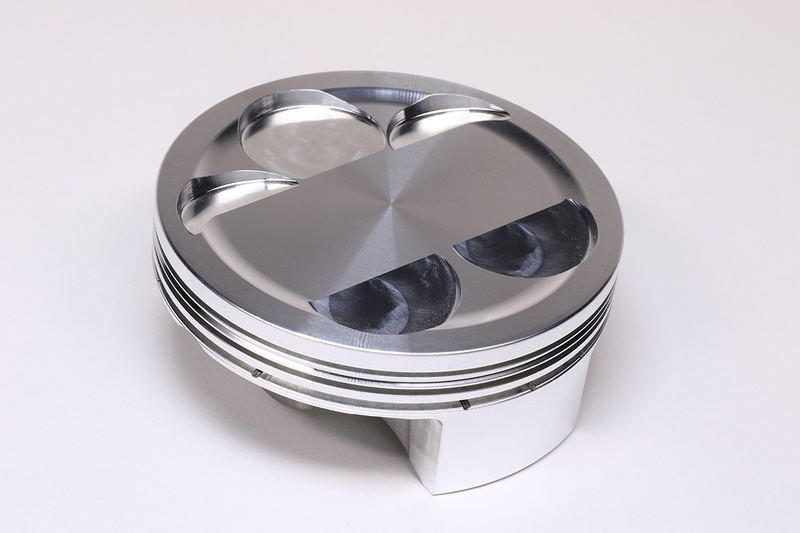 In many of these applications, you also have piston designs that mirror each other when installed. Due the valve positioning in the cylinder heads, pistons can be designed as “rights” and “lefts”. Piston orientation is extremely critical when you look at asymmetrical valve reliefs, but other aspects of the piston design are also affected. Stothers also explains that piston skirt design is another critical aspect. 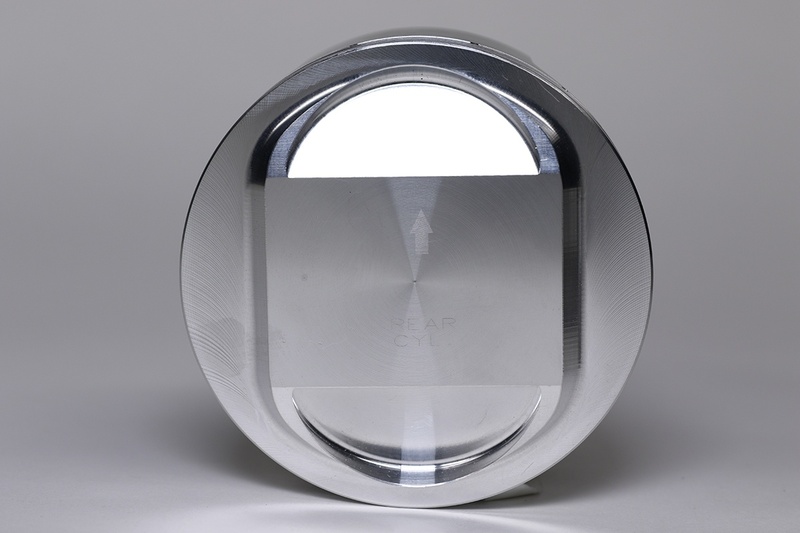 An asymmetric piston design has a wide and narrow skirt panel. The wide panel will always be placed on the major thrust side. The last big area that plays into the importance of piston orientation is wrist pin location. This is primarily done to control piston noise. Different wrist pin offsets may require a specific direction when installed. Like the piston skirts, the correct installed location plays into the major thrust side of the engine. "Some pistons have an offset wristpin and would need to be installed properly to have the desired effect of reducing piston noise." Most pistons will come with an arrow or some sort of marking to illustrate the required piston orientation, but it is always good to verify this information, especially if you are using an asymmetrical piston configuration. These marking can differ depending on the application, piston design, and installed orientation of the engine. Either way, it is always a good idea to verify the correct location prior to installation. When it comes to piston design there are many things to consider. Although the installation might seem easy and straightforward, a little extra time and attention to ensure the pistons are installed in the correct orientation can save you from big headaches later. It’s always important to remember the basics when assembling your engine. Even pistons, like this one for a Harley, has a front and rear cylinder orientation.